of livestock including dairy cows and laying hens. 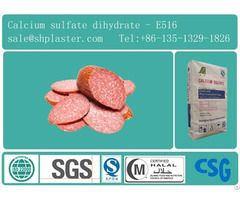 A feed grade dihydrate calcium sulphate designed to supply calcium in feed industry. 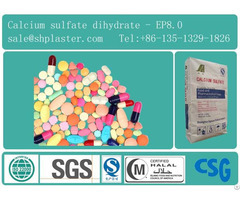 Feed grade calcium sulfate contributes much to the formation of teeth, proper bone, egg shell, milk, and sulfur-containing amino acids such as cystin, cysteine and methionine. 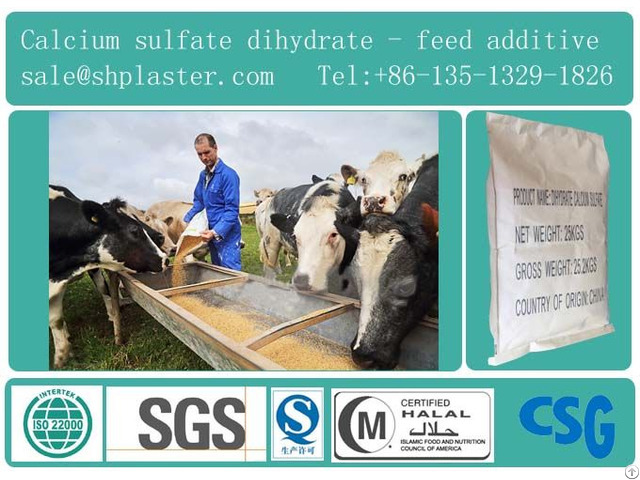 Feed grade calcium sulfate helps to supply the calcium and sulfur requirements for many types of livestock including dairy cows and laying hens. Available in regular and coarse grinds. 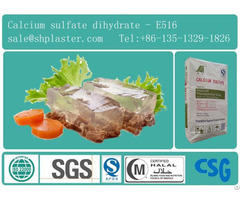 Selected best natural gypsum, a powder white to yellow-white.